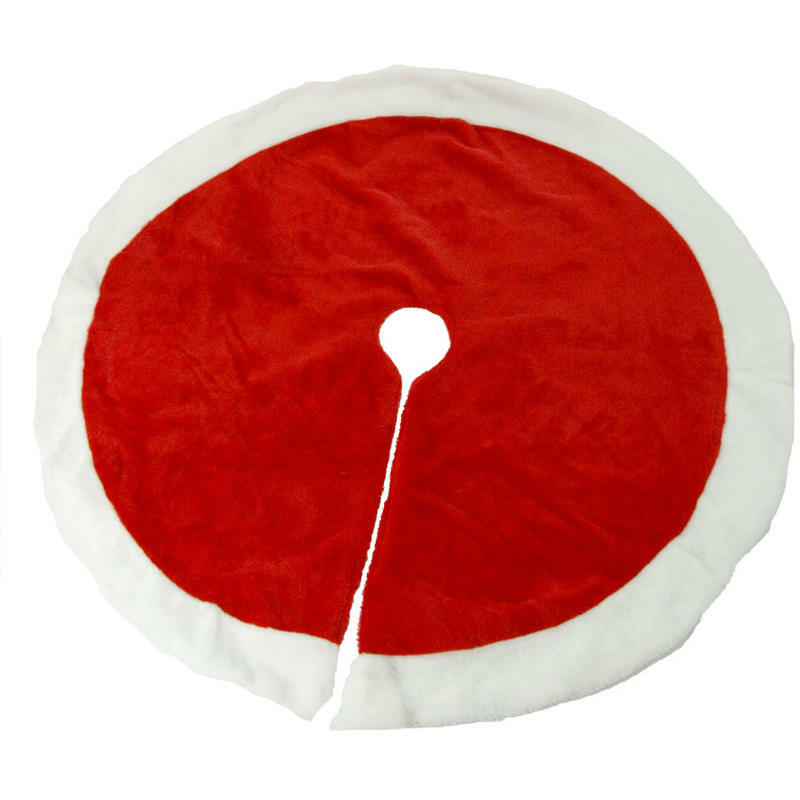 This beautiful Plush Christmas Tree Skirt will reach around the base of your tree and cover up any unsightly stands, stems, or trunks. This skirt measures around 39cm wide by 26cm in height, and has a diameter of around 100cm. The rich flocked red is accented with just a bit of snowy white, so it fits seamlessly into any traditional holiday themes or colour palettes. Simple pull the seam over the end of the skirt after wrapping the trunk to camouflage and enhance the look underneath the tree. Plus this skirt will protect your gifts and prevent them from sitting on the floor. This skirt is lovely and echoes the colours of the suit worn by everyone’s favourite elf- Santa Claus, himself! Give this skirt to a friend or neighbour when you want to give them something that they will use year after year, and that will become a treasured keepsake.